These days, IAC (India Against Corruption movement by Indian People with Anna Hazare, who is considered the leader of this movement) is decided to destroy corruption by passing Jan LokPal Bill. This is needed, as corruption in India is on peak from last few years and it’s destroying people by hiking prices of basic needs/ resources like petrol, gas, food etc, even though people of India are also facing many other problems like: not being provided houses as per scheme, corruption in planning housing schemes, corruption in development of cities and villages. This happens just because of the corrupted people who are still surviving in the Government of India. Whether he/she is clerk or MP or MLA or Corrupt Officer, everywhere and everybody is corrupted just because there is no strict action against corruption by law. So, to destroy this black mark on India, Anna and the People of India are supporting Jan LokPal Bill and they just want the Govt of India to pass it to completely destroy corruption and corrupted People from the system. 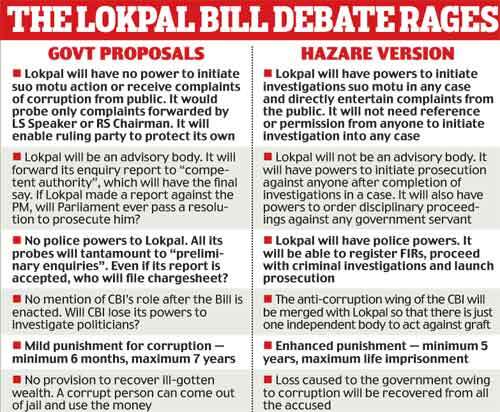 What is Jan LokPal Bill ? The Lokpal will be a three-member body with a chairperson who is or was a chief justice or Supreme Court judge, and two members who are or have been high courts judges or chief justices. Implementation of the Lokpal bill will hopefully reduce corruption in India. The basic idea of the Lokpal is borrowed from the office of the ombudsman in other countries. It provides for filing complaints of corruption against the prime minister, other ministers and members of Parliament with the ombudsman. 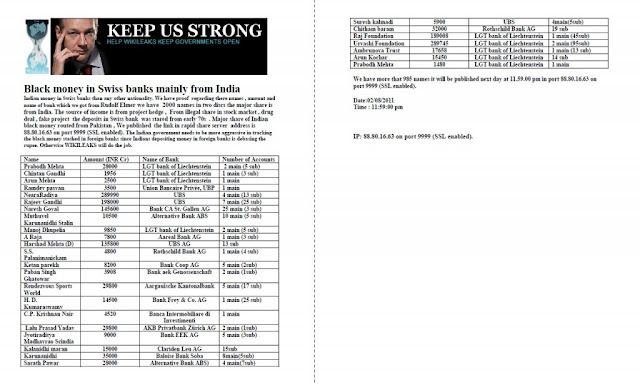 Anyone, except for a public servant, can file a complaint and the Lokpal has to complete the inquiry within six months. 1. An institution called Lokpal at the center and Lokayukta in each state will be set up.2. Like the Supreme Court and Election Commission, they will be completely independent of governments. No minister or bureaucrat will be able to influence their investigations.3. Cases against corrupt people will not linger on for years anymore. Investigations, in any case, will have to be completed in one year. Trial should be completed in the next one year so that the corrupt politician, officer or judge is sent to jail within two years. A citizen can approach Lokpal if his ration card, passport or voter card is not being made or if police is not registering his case or any other work is not being done in prescribed time. Lokpal will have to get it done in a month’s time. You could also report any case of corruption to Lokpal, such as ration being siphoned off, poor quality roads being constructed or panchayat funds being siphoned off. 6. There are also safeguards against the government appointing corrupt and weak people as Lokpal members. This won’t be possible because its members will be selected by judges, citizens and constitutional authorities, and not by politicians – through a completely transparent and participatory process. 9. It will also be the duty of the Lokpal to provide protection to those who are being victimized for raising their voice against corrupts. The Image with wikileaks header bearing the photo of Julian Assange and the Data about the names of individual having black money doesn’t belong to The World Reporter. The source of the image is still incognito and the verification is under process. This image has been in circulation on various social networking sites and Emails. The article takes its base from this source. Although yes, it was informed that the complete list of Indian account holders was posted on August 2nd on IP 88.80.16.63 on port 9999 . It’s true that nothing can be said about the authenticity of the names and data in the image above as we are not able to access the IP with the mention port which was supposed to be accessed using an IRC chat client. According to Wikileaks official facebook page the above image is fake and Wikileaks never published such report though they have the real report still with them unpublished.